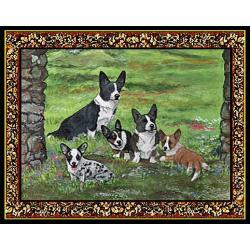 Our tapestry dog placemats measure approximately 12 X 18 inches each. 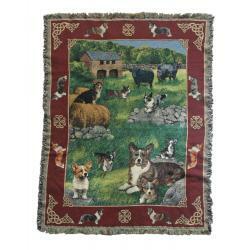 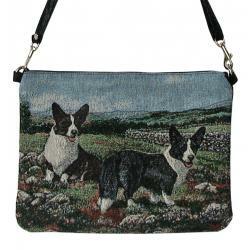 They are made from high quality cotton blend ultra weave woven tapestry. 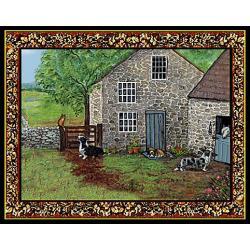 Decorate your dining room table, or use as tapestry wall art (matches our table runner). 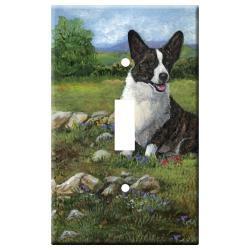 These make a stunning artwork display of your favorite dog breed. 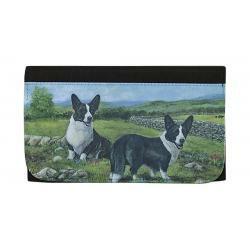 Spot clean and made in the USA exclusively by Gone Doggin! 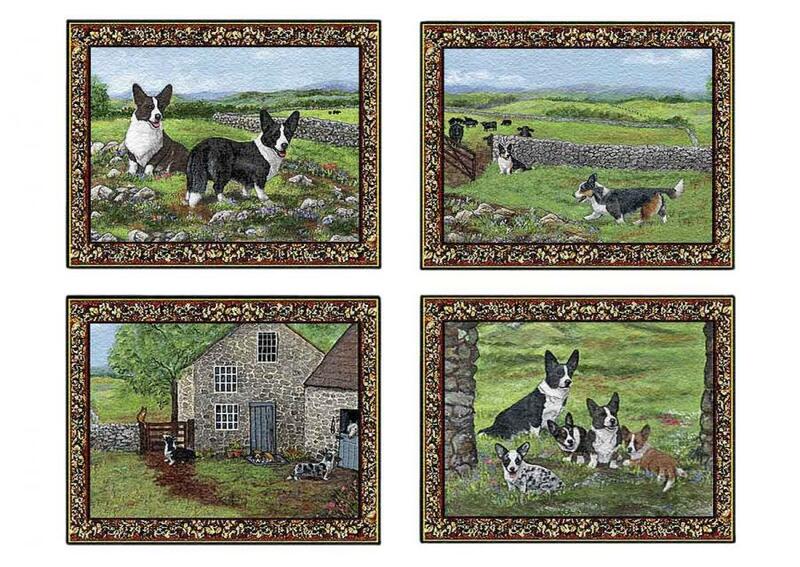 You can buy singles, or in sets of four with different artwork scenes from our shopping area.